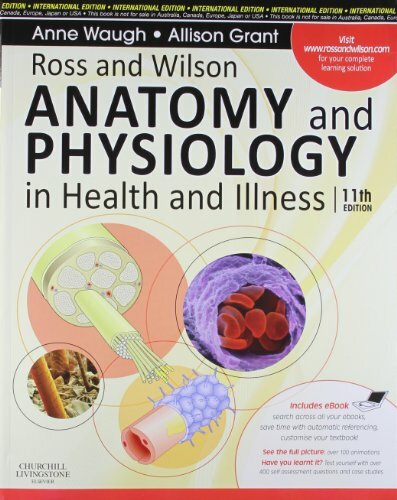 About the Book: Ross and Wilson Anatomy and Physiology in Health and Illness International Edition, 11th Edition 'Ross and Wilson' remains the anatomy and physiology textbook of choice for the majority of healthcare students. It is unique among textbooks in its appeal to a wide range of healthcare professionals including nurses, nursing students, students in the allied health professions and complementary / alternative medicine, paramedics and ambulance technicians. Each chapter provides an explanation of the normal structure and functions of the human body and the effects of disease or illness on normal physiology. The text is written in straightforward language and is complemented by over 400 extensive clear, colour illustrations.